Hydroxypropyl-β-Cyclodextrin Spikes Local Inflammation That Induces Th2 Cell and T Follicular Helper Cell Responses to the Coadministered Antigen. Motoyasu Onishi et al (2015), The Journal of Immunology http://dx.doi.org/10.4049/jimmunol.14... Cyclodextrins are commonly used as a safe excipient to enhance the solubility and bioavailability of hydrophobic pharmaceutical agents. Their efficacies and mechanisms as drug-delivery systems have been investigated for decades, but their immunological properties have not been examined. In this study, we reprofiled hydroxypropyl-β-cyclodextrin (HP-β-CD) as a vaccine adjuvant and found that it acts as a potent and unique adjuvant. HP-β-CD triggered the innate immune response at the injection site, was trapped by MARCO+ macrophages, increased Ag uptake by dendritic cells, and facilitated the generation of T follicular helper cells in the draining lymph nodes. It significantly enhanced Ag-specific Th2 and IgG Ab responses as potently as did the conventional adjuvant, aluminum salt (alum), whereas its ability to induce Ag-specific IgE was less than that of alum. At the injection site, HP-β-CD induced the temporary release of host dsDNA, a damage-associated molecular pattern. DNase-treated mice, MyD88-deficient mice, and TBK1-deficient mice showed significantly reduced Ab responses after immunization with this adjuvant. Finally, we demonstrated that HP-β-CD–adjuvanted influenza hemagglutinin split vaccine protected against a lethal challenge with a clinically isolated pandemic H1N1 influenza virus, and the adjuvant effect of HP-β-CD was demonstrated in cynomolgus macaques. Our results suggest that HP-β-CD acts as a potent MyD88- and TBK1-dependent T follicular helper cell adjuvant and is readily applicable to various vaccines. I am klaus chen ， I am the sales manager of shandong binzhou zhiyuan biotechnology co., LTD This is the resveratrol complex I made. I can solve the problem that many insoluble substances dissolve in water. Please contact my email address: klaus. What is INCLUSION COMPOUND? What does INCLUSION COMPOUND mean? INCLUSION COMPOUND meaning - INCLUSION COMPOUND definition - INCLUSION COMPOUND explanation. Source: Wikipedia.org article, adapted under https://creativecommons.org/licenses/... license. SUBSCRIBE to our Google Earth flights channel - https:// In host-guest chemistry, an inclusion compound is a complex in which one chemical compound (the "host") forms a cavity in which molecules of a second "guest" compound are located. The definition of inclusion compounds is very broad, extending to channels formed between molecules in a crystal lattice in which guest molecules can fit. If the spaces in the host lattice are enclosed on all sides so that the guest species is ‘trapped’ as in a cage, the compound is known as a clathrate. In molecular encapsulation, a guest molecule is actually trapped inside another molecule. Inclusion complexes are formed between cyclodextrins and different guest molecules such as ferrocene. When a solution of both compounds in a 2:1 ratio in water is under hydrothermal conditions at 100 degree C for 2 days and then allowed to rest for 10 hours at room temperature orange-yellow crystals form. X-ray diffraction analysis of these crystals reveals a 4:5 inclusion complex with 4 molecules of ferrocene included in the cavity of 4 cyclodextrine molecules and with the fifth ferrocene molecule sandwiched between two stacks of ferrocene – cyclodextrine dimers. Cyclodextrin also forms inclusion compounds with fragrance molecules. As a result, the fragrance molecules have a reduced vapor pressure and are more stable towards exposure to light and air. When incorporated into textiles the fragrance lasts much longer due to the slow-release action. hello I am a professional manufacturer of cyclodextrin derivatives.I really hope to be a supplier to your company.We have DMF、IOS. I mainly produce: Hydroxypropyl betadex CAS: 128446-35-5 ( Pharma grade / food grade / cosmetics grade / industry grade) ,Injection gade Injection grade Sulfobutyl Ether-Beta-Cyclodextrin Sodium Salt CAS: 182410-00-0 Application: Improves solubility, stability, bioavailability and dosing of APIs Functionality: Solubilizer, Increased bioavailability, Stabilizer Application: pharmaceutical, health care products, food, beverage, coating, cosmetics, dressings, etc I hope to receive your reply！ Best regards Shandong Binzhou Zhiyuan Biotechnology Co.,Ltd Boxing Economic Development Zone, Binzhou, Shandong, China Klaus chen Tell：+86-0543-8186048 | M.P +86-13020624037 klaus. 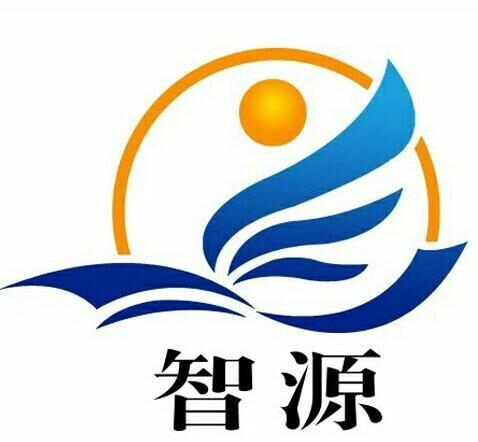 Leader of Cyclodextrin --- Zibo Qianhui Biological Technology Co.,Ltd is a pharmaceutical corporation specialized in the fields of research, manufacturing and trade.We are professional in researching and manufacturing pharmaceutical excipients, food , health food & cosmetic additives. Our main products are: Hydroxypropyl Beta Cyclodextrin, Sulfobutyl Ether Beta Cyclodextrin, Hydroxypropyl (Sulfobutyl) Gamma Cyclodextrin, Methyl Beta Cyclodextrin, Carboxymethyl Beta Cyclodextrin, Hydroxyethyl Beta Cyclodextrin, Piroxicam Beta Cyclodextrin and Glucosyl Beta Cyclodextrin. And please click on the website: for more cyclodextrin products . Firmly conformed to cGMP and GMP (IPEC) standard and got the ISO9001:2015 quality management system certification, our company equipped with modernized R&D center and products’ quality perform CP, USP, EP, JP standards & sold well all over the world. SORRY ABOUT THE QUALITY!!! Proline Comb-Thru softener: Water Aqua, Glycerin, Propylene Glycol, Polysorbate 60, Cetearyl Alcohol, Cetrimonium Chloride , Fragrance Parfum , Oleth-5 , Quaternium-75 , Hydroxyethylcellulose, DMDM Hydantoin, Red 33 CI 17200 EveryDay Shea: Aqueous Shea Leaf (Butyrospermum parkii) Extract, Handcrafted Shea (Butyrospermum parkii) Butter*, Cetyl Alchol, Cetearyl Alcohol, Behentrimonium Chloride, Emulsifying Wax, Palm Stearic Acid, Lavender Essential Oil, Phenoxyethanol, Potassium Sorbate, Citric Acid. *Certified Fair Trade Ingredient AO Honeysuckle Rose: Coconut Fatty Acid Cream Base, Organic Aloe Vera, Organic Shea Butter, Wheat Germ Oil, Organic Jojoba Oil, Organic Rosa Mosqueta® Rose Hip Seed Oil; Extracts of Fennel, Hops, Balm Mint, Mistletoe, Camomile, Yarrow, Chrysanthemum, Angelica, Forsythia and Magnolia; Honeysuckle Oil, Carrot Oil, Aubrey's Preservative (Citrus Seed Extract, Vitamins A, C and E). AO Island Naturals: Aqua, cetyl alcohol, alcohol denat. (38b, lavender*), triticum vulgare (wheat) germ oil, hydrolyzed sweet almond protein, glycerin, aloe barbadensis (aloe) leaf juice*, pimenta acris (bay) leaf oil, pimenta dioica fruit extract, rosmarinus officinalis (rosemary) leaf oil*, citrus grandis (grapefruit) seed extract, jojoba esters (jojoba butter), butyrospermum parkii (shea butter)*, cocos nucifera (coconut) fruit juice*, salvia officinalis (sage) oil*, foeniculum vulgare (fennel) fruit extract, humulus lupulus (hops) extract, melissa officinalis (balm mint) leaf extract, viscum album (mistletoe) fruit extract, chamomilla recutita (matricaria-German camomile) extract, tocopheryl acetate, hamamelis virginiana (witch hazel) water, ascorbic acid, achillea millefolium (yarrow) extract, equisetum hyemale (horsetail) extract, tussilago farfara (coltsfoot) leaf extract, glycine soja (soybean) oil, daucus carota sativa (carrot) root extract, beta carotene. *Organic Tresemme Naturals: Water, Stearyl Alcohol, Cetyl Alcohol, Caprylic Acid (Capric Triglyceride), Stearamidopropyl Dimethylamine, Fragrance (Parfum), Lauryl Lysine, Caprylyl Glycol, Brassica Campestris/Aleurites Fordi Oil Copolymer, Aspartic Acid, Distearyldimonium Chloride, Persea Gratissima (Avacado) Oil (Organic), Citric Acid, Alcohol, Isopropyl Alcohol, Aloe Vera (Aloe Barbadensis) Leaf Juice (Organic) Alaffia Beautiful Curls: Comfrey and arnica extracts, shea butter, aloe vera gel, agave nectar, cetearyl alcohol and behentrimonium chloride, panthenol, coconut oil, raspberry and ylang ylang extracts, potassium sorbate, guar gum, xanthan gum, citric acid Allafia Conditioner: Herbal infusion of lemongrass, vegetable glycerin, behentrimonium methosulfate, shea butter, virgin coconut oil, panthenol, emulsifying wax NF, hydrolyzed wheat protein, potassium sorbate, essential oil of lavender, fragrance, citric acid. 365 Citrus Grapefruit: Water, Behentrimonium Chloride,Glyceryl Stearate, gluconolactone, Sodium Benzoate, Phenethyl Alcohol, Clyceryl Caprylate Polysorbate 60, Cetearyl Alcohol, Glycerin, Sodium Citrate Stearyldimonium-Hydroxypropyl Laurylglucosides Chloride, Aloe Barbadensis, Panthenol, Tocopherol (Vitamin E), Matricaria Recutita (Chamomile Flower Extract), Polysorbate 20, Citrus Paradisi (Grapefruit Oil) Citrus Aurantium Dulcis (Sweet Orange Oil), Citrus Aurantium (Lime Oil) KC Tiny Twirls: water, aloe barbadensis leaf juice*, althaea officinalis (marshmallow) root extract, vegetable glycerin*, citric acid, potassium sorbate, natural fragrance *certified organic Live Green Brazilian Acai: Water, Cetearyl Alcohol (from Coconut Oil), BTMS, Comfrey Extract, Jojoba Oil, Panthenol, Wheat Germ Oil, Retinyl Palmitate, Biotin, Folic Acid, Niacin, Wheat Protein,Babbasu Oil, Bamoo Extract, Citric Acid, Inositol, Fragrance Oils, Phenozyethanol.